(Harrisburg, Pa.) The Penn State Harrisburg School of Humanities presented its 2018 Alumni Achievement Award to Gannett Fleming Chief Communications Officer and Vice President Judy Hricak during its 2018 Alumni Achievement Awards on Sept. 21. Penn State selects recipients based on levels of success, demonstrated leadership in their profession, exhibited active involvement in community affairs, and significant contributions to the betterment of society. Hricak is a 28-year veteran of Gannett Fleming and works directly with executive leadership as the chief architect and master strategist for the corporate communications practice. She leverages traditional and digital communications channels to articulate, strengthen, and unite all elements of the Gannett Fleming brand. Her responsibilities include oversight for all media relations, employee and executive communications, crisis communications and crisis response, digital/online communications, community relations, graphics and multimedia, and special event planning. A champion of diversity and inclusion, Hricak co-founded and launched the award-winning employee resource group, Connected Women at Gannett Fleming™, in 2017 with a mission to create a culture that empowers, supports, and mentors women to achieve career and personal success at Gannett Fleming. Now in its second year, Connected Women has more than 70 Connected Ambassadors, uniting female employees across operations. She recently launched Connected Allies, a powerful subcommittee of Connected Women chaired by Water Business Line Director Luis Casado. Its mission is to drive best-in-class allyship across the firm. Hricak earned a Bachelor of Humanities in communications from Penn State Harrisburg and joined Gannett Fleming in 1990 as a proposal coordinator in the Transportation Division. 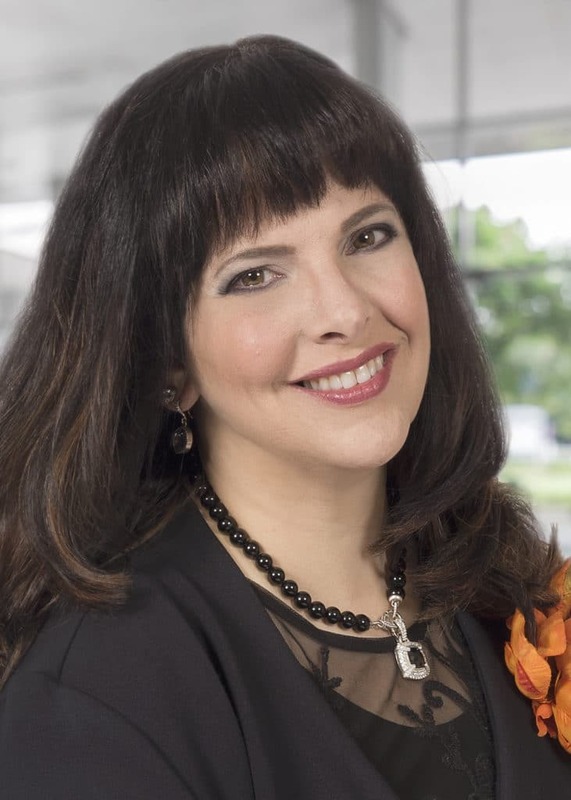 A recognized thought leader in branding, marketing, and communications, Hricak has presented at national conferences and designed an award-winning certification mentorship program for the Society for Marketing Professional Services (SMPS) Central Pennsylvania. She is the immediate past chair of the American Council of Engineering Companies National Engineering Excellence Awards committee and is a former president of the Penn State Harrisburg Alumni Society Board. Hricak is a certified professional services marketer with SMPS and achieved marketing performance measurement accreditation through the CMO Council. She holds a certificate in positive psychology from Wholebeing Institute and is a certified change practitioner through Prosci, where she also achieved train-the-trainer certification in 2018.